I love jackfruit, it’s so versatile! I love using it to make pulled pork and crabless cakes. But it wasn’t until recently that I noticed how much it looks like tuna! So I started inventing and came up with the following “tuna mayo” recipe. *Make sure you use the green jackfruit in brine and not the ripe stuff in syrup. Otherwise, don’t come crying to me when your tuna mayo tastes like a fruit salad! 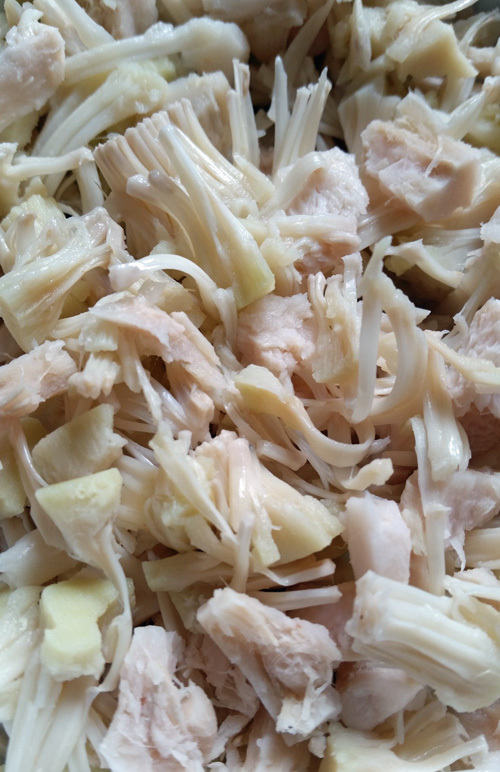 Drain the jackfruit and mash-shred-massage into tuna-esque flakes using two forks or your fingers. 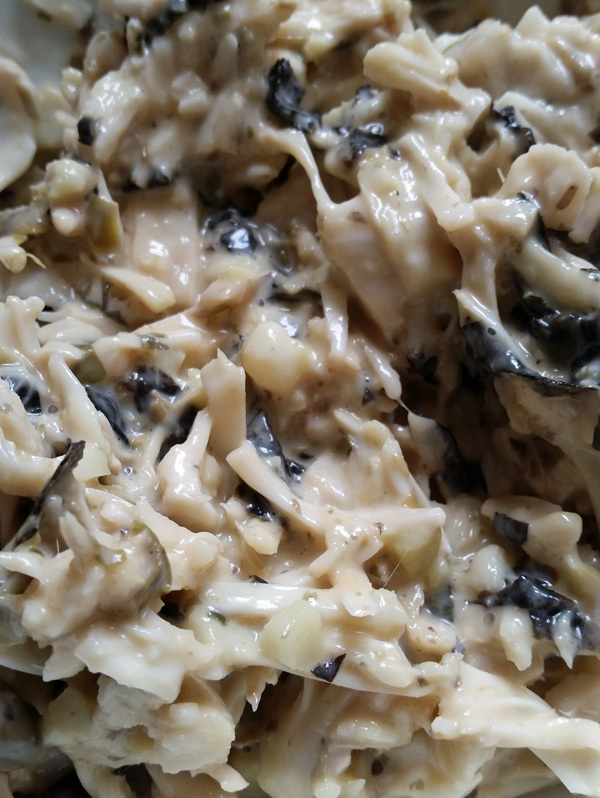 Put the jackfruit in a bowl and add the nori, vinegar, capers, mayo, salt and tamari. Mix well. Cover with clingfilm and leave in the fridge for at least an hour before serving – I find that the vinegar/briny taste develops over time. It’s looking like tuna already! 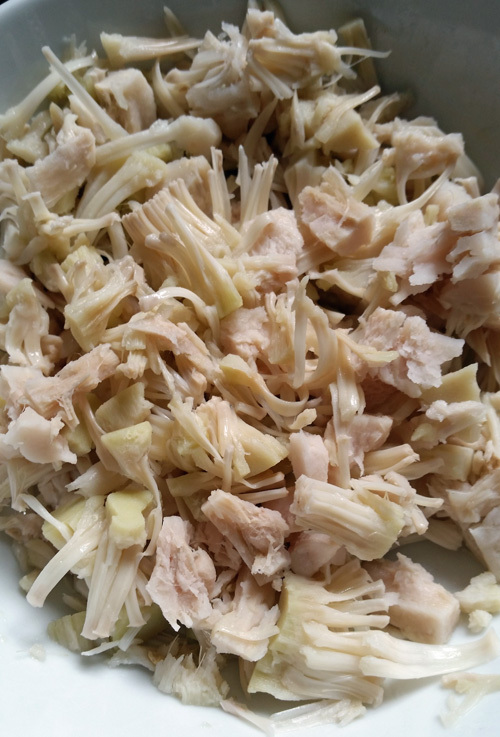 *Variation* – I quite like using a mixture of 2 parts mayo to 1 part salad cream for a lovely tangy taste, but as vegan salad cream can be a bit trickier to come by, I usually just use the mayo. ← 76. Beanz meanz cheeze!